It is really fun testing out different distributions. You get to see their differences and their strength/weaknesses. The one drawback is the need to keep installing ISO over and over again. 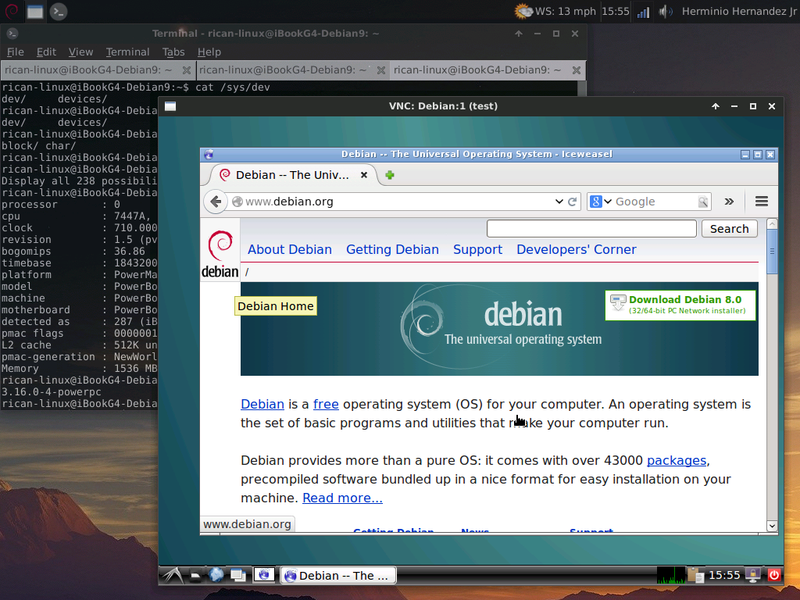 I have seen people with G5 machine run qemu to host VM guests. However on G4 machine I do not think there are enough resources to really to this with taking some type of perfomance hit. 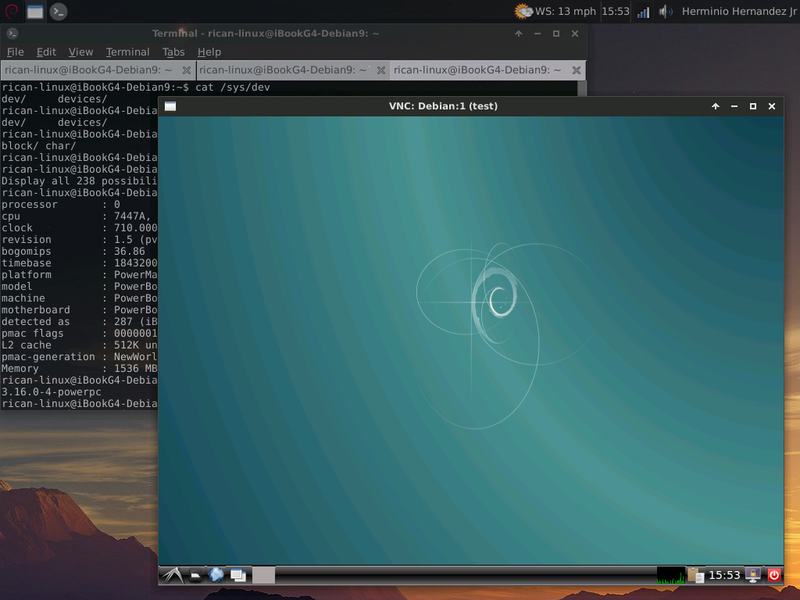 Then I came across using Linux Containers (lxc) and it was exactly what I needed! So what lxc offers is virtualazation at OS level rather than on the hardware level via hypervizors. QEMU, Zen, KVM,and VB all viritalize the hardware, meaning each VM has its own dedicated hardware. Now if you have more than one core and few Gigs of RAM than this is no issue. However G4 machines at the max have 2G of ram and most are single CPU. This greatly limits what can be accomplished using hypervizors. Since lxc virtualizes on the OS level you guests will share your resources. On my iBook G4 with a single 1.42 GHz cpu and 1.5G of RAM running an instance of Debian as an lxc container performed really well. Below I will walk you through the install and set of lxc on PowerPC. The following packages were the ones I used to get lxc working. One the proces is complete a root password will be given that you should change one you launch the container and login. Before that step you should set up the networking so that you container can access the internet. If the active field is set to no then enable the bridge with this command virsh net-start default. The field should be now set to yes and you should see the interface if you run sudo ifconfig -a. The ip address shown is controlled by this configuration file, /var/lib/libvirt/network/default.xml. This file also controls the dhcp scope of the virtual network and where you can set static reservations. 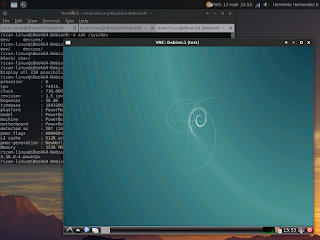 You can read more on this on the Debian Wiki here. I definitely need to give this a go. Thanks for sharing this little gem. Absolutely wonderful. A great solution to the less resourceful old PPC machines. Thanks! 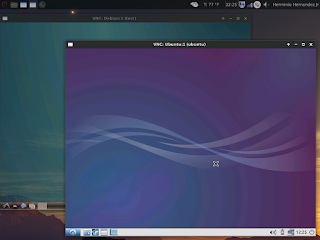 Although instead of vnc4server I would now use xrdp. It is so much simpler. It runs right on install. Then you can rdp with remmina. Noobslabs is an awesome site!